Due to weather conditions in Wellington today, the NZSO have had to cancel this concert. Yet another reason to join NZDRS if you are not already a member! WHO: Student members of NZDRS. HOW: Email us by Friday 14 June if you would like to come along. Carpool with friends or catch the bus into town. 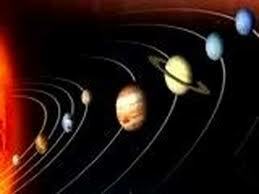 The English composer Gustav Holst looked to the skies for inspiration, and one of his best-known works, The Planets, reflects his deep interest in both astrology and astronomy. This is an awesome piece if you have never been to the orchestra before or don't attend often. It is colourful, fun, and each movement is short and evocative of a specific theme.